My postmodernism essay is going to be written on the 1982 film 'Blade Runner'. After a bit of research, It seems to have a huge post-modern background and there is a lot of discussion based around it. I'm going to use this post to add research, sources etc. as well as drafting the essay. 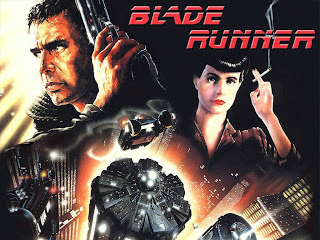 Good example, Sam - one of the key elements of 'postmodernism-at-work' in Blade Runner is it's temporal disregard - a future that is patterned after the 1940's, while simultaneously being quintessentially 1980s. In this respect, you might want to refer, however briefly, to David Lynch, especially Blue Velvet - which, of course, you've seen - which also has this 'non-time/all-time' 'mash-up'. This temporal game is common too postmodernity - you'll want to look at La Mode Retro - and ideas of the 'imprisonment in the past'... I look forward to seeing this blog post enrich with 'killer quotes' and insightful research.